The work-experience project “World Heritage of Tuscany: a creative story“, conceived and organised by AEDEKA and targeted to teachers and students of the secondary school, kicked off last week. Through a multidisciplinary approach, young people can become aware of the value of the cultural and artistic heritage present in their territory, strenghten their historical artistic and communication skills and get in touch with specific professionalism in the cultural heritage sector. Students will be involved in educational activities inside and outside the classroom and will elaborate a creative guided tour within one of the Tuscan world heritage sites to be proposed to another class, in the context of a cultural exchange. 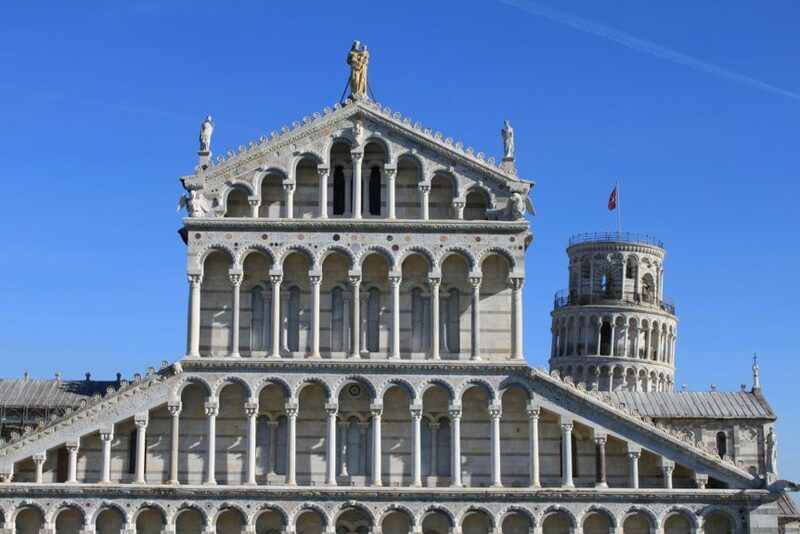 In the first of these projects, a group of students from Liceo Artistico Russoli of Pisa and Liceo Scientifico Gramsci of Florence, supported by teachers and experts, will devise a guided tour respectively in Piazza dei Miracoli in Pisa and through the historic center of Florence. Discovering the historical center of Florence – path "World Heritage of Tuscany: a creative story"
Discovering Piazza dei Miracoli – path "World Heritage of Tuscany: a creative story"
© 2017 - AEDEKA srl, Registered office: Talent Garden, Via U.Forti, 6 - 56121 PISA (PI), VAT n°: 02243820509, PEC: aedeka@pec.it, Registry office: Ufficio del Registro di Pisa, REA No. : PI - 192299, Share capital: 10.000€ i.v.